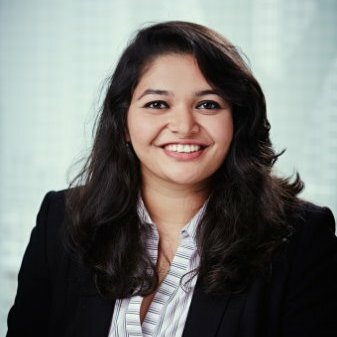 Ideolve – The team collaboration tool from Mithi helps customers perform deeper and more focused ideation on projects and initiatives with their teams. With all the information in a single note, users have to no longer worry about maneuvering through convoluted threads of email. 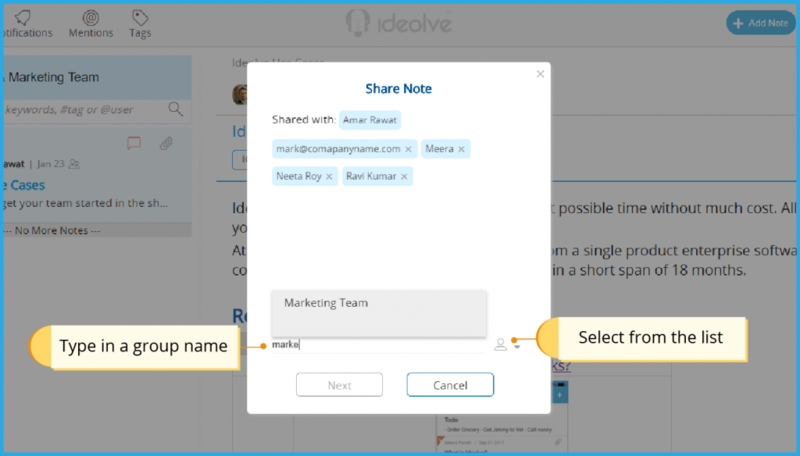 With this latest update, Ideolve makes it easier and simpler to share notes. Users can now create their own personal groups (distribution lists) to help with quickly sharing Notes with a set of users and not missing out on anyone. For example, users can create a list containing all the members from a certain department within the organisation, let’s say marketing. Similarly, if you are collaborating with members of a vendor or an external team, you can create separate groups for them respectively. How is this feature beneficial? Often in an organization, multiple notes are shared with the same groups of people in order to collaborate on different projects. It can often be cumbersome to add the same users over and over again to different notes and can also lead to manual errors such as missing out on a certain member. Distribution lists allow users to group individuals based on their team or organisation and share the note with this group/list without having to individually add members to the note. This saves time as well as ensures that no person is missed out from being added to a note. Note: Groups have an auto discounting feature. This means that the application will form a unique list of users from both the groups, sharing the note only once with each user. This ensures that if a user is part of two distribution lists and a note has to be shared with both lists, then the user will not get notifications twice. 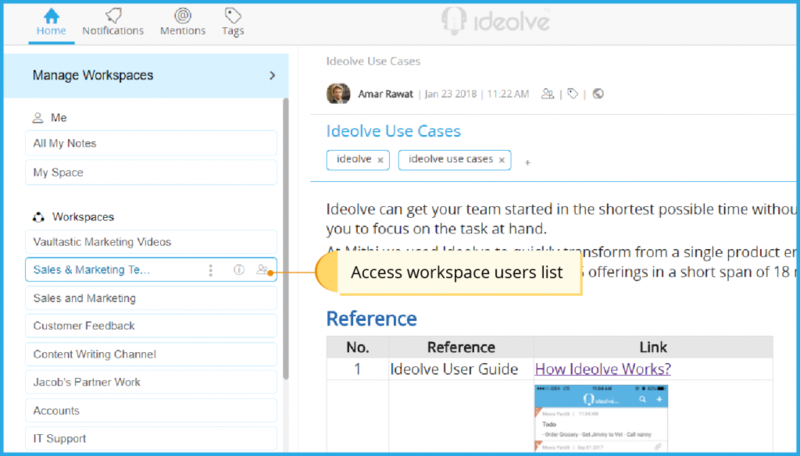 Select the workspace you want to create the group in and access the user list. To create a group, click on the + sign on the top of the panel, enter the group name, description and click save. Next, select the newly created group and click on the edit button to start adding users. 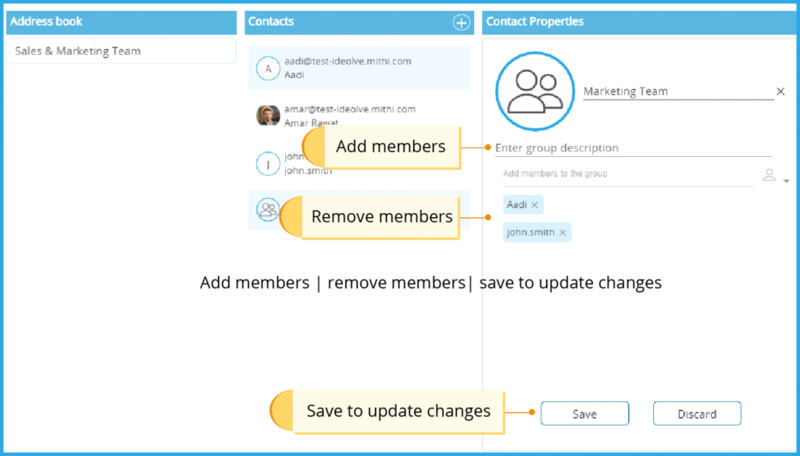 You can add or remove users from the group, by typing in the names, or selecting from the list. Click save once all the edits are made. Your group is now ready to be used when sharing a note. 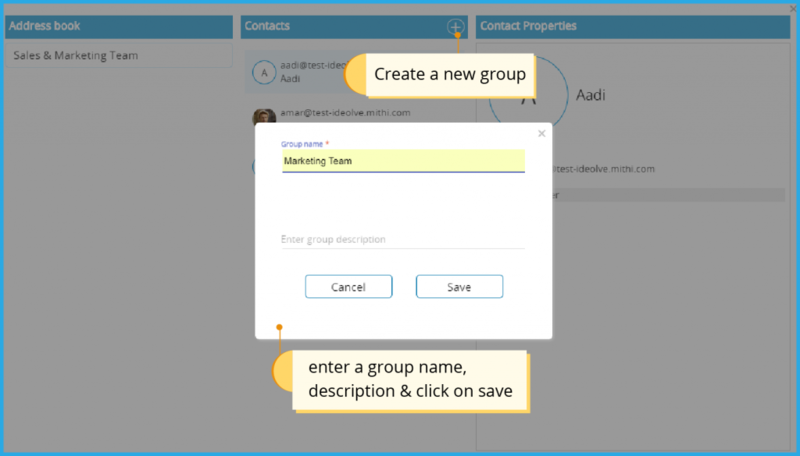 To share a note with a group, simply type in the group name or select from the users list. All the members of the group are selected as soon as you add the group. Other individual users can be added to the note as well. We hope that you will enjoy this update. Do leave in the comments below how you are utilizing this new feature.